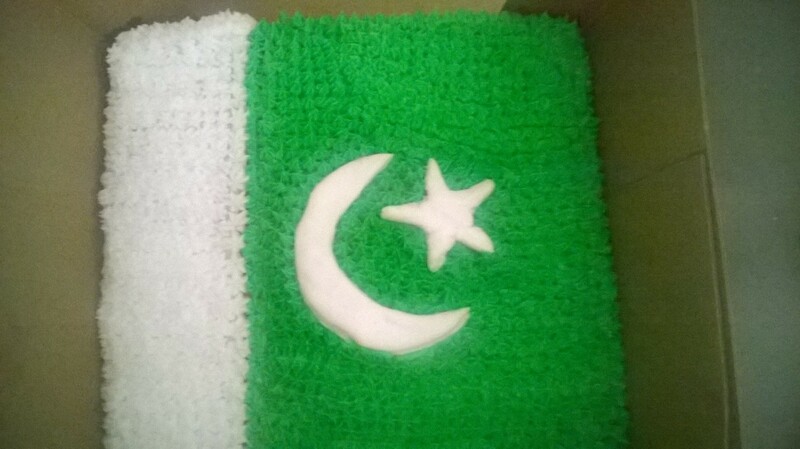 I made this cake for a pool party on Pakistan’s Independence Day. I baked a vanilla/yellow cake from scratch,using brown sugar instead of white. I made the buttercream icing.One fourth of the cake i crumb coated white and the rest green.With tip 18,i made the starlets and used fondant for the moon and the star(star made by my talented husband).I used Nutella for the filling between the two 9 X 9 cake. It was a super success.